Don't miss the latest happenings out of Turoa, including new lifts, terrain expansions, weather, photo galleries, infographics and current events skiers and mountain travelers should know about. Stay up-to-date on Turoa news and events by clicking on articles from the list below or page through to see coverage from the entire ski season. Mt Ruapehu's Turoa ski field has had a ripper season hitting a five metre snow base and with over four and a half metres in spring the mountain will stay open until November 16. Canterbury commercial ski field, Mt Hutt, has hit the the three metre base mark with sixty five centimetres of new snow. NEW ZEALAND - Both the North and South Islands experienced a fierce snowstorm July 5, dumping over half a metre of snow on most of the country's resorts. 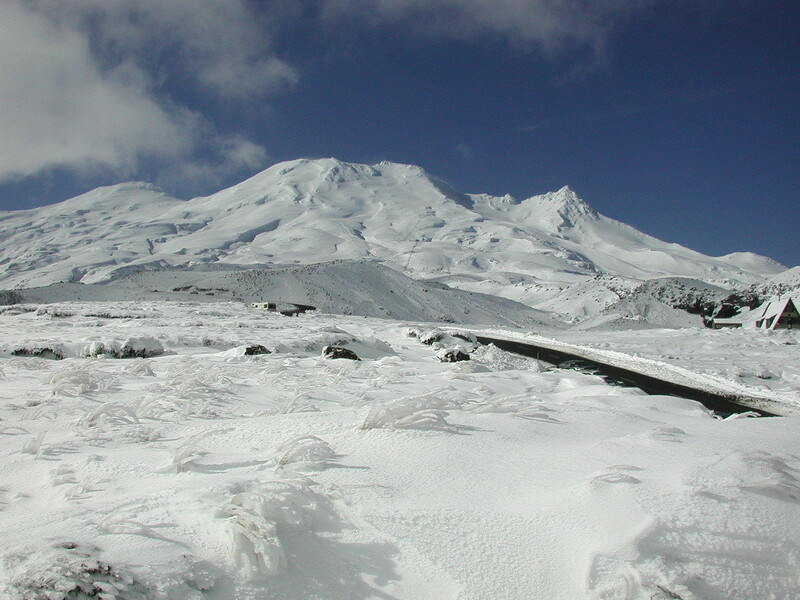 NEW ZEALAND - The North Island ski fields of Whakapapa and Turoa on Mt. Ruapehu is celebrating a much needed mammoth dump of snow. The mountain received a week of heavy snowfalls resulting in a record snow base, after a week of rain that washed away the active volcano's minimal snow cover revealing rocks and grass. Mt Ruapehu's new high speed chairlift to open June 16.